Havas Media Australia has announced a slew of significant wins, bolstering the agency’s diverse client portfolio as it continues to grow its Australia and New Zealand commercial operation. The team has been appointed to deliver major communication strategies for four of the world’s largest brands and leading Australian companies. Household Australian rice brand SunRice has selected Havas Media to help support its domestic and international growth. The remit covers communication, channel and investment strategy and content management across Australia and New Zealand. Havas Media has also joined forces with luxury crystal jewellery brand Swarovski, effective from 1 January 2017. With a $5 million ANZ spend, the local remit will cover channel and investment strategy and social and programmatic activity, taking full advantage of Havas Media’s breadth of technical resources. The team has also been charged with handling channel and investment strategies for leading Australian companies Primary Health Care Limited and Sydney Airport Parking. Sydney Airport Parking has tasked Havas Media with managing their digital media activity, to promote the changes taking place within their Domestic Airport pick-up zones. Through behavioural and geo-location targeting across Facebook, native and mobile, the team are increasing awareness amongst people living in NSW most affected by the changes. Primary Health Care Limited is one of Australia’s leading listed healthcare organisations, offering a broad range of medical and health related services to Australian professionals. The team are working closely with The Core Agency to raise awareness and help support the company’s new medical centres and services in regional areas. 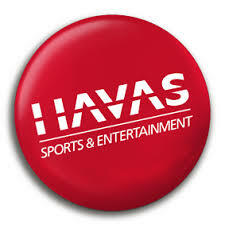 Current Havas Media clients include QBE, LG, Emirates Airlines, Dubai Tourism, Jacobs Douwe Egberts, Macquarie University and Muffin Break.